When it comes to giving influence to other people in your life there is a simple formula. This is common sense. When you spent time with someone whose opinion or actions are of great value to you then you are influenced by that person. Many times this happens without us thinking about it, especially when we are younger. But as we grow in maturity we tend to give influence to people we respect and deny influence to people we don't respect. Nothing wrong with that. Here is where we stumble. If you never evaluate the reasons that you respect someone you are on unstable ground. Do you respect his opinion because he is wealthy? Do you respect her opinion because she is the perfect homemaker: Martha Stewart Jr? Two Principles to help you give the right influence to the right people. 1.) Respect should be based on results. He may have read every James Dobson book that exists, but how are his children? If his kids are good give him influence in the parenting realm. 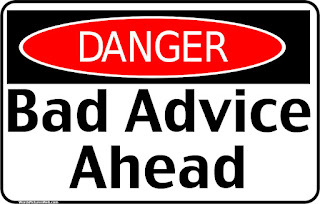 If his kids are terrible, be very careful about what advice you accept. If you are a Christian, then you shouldn't just be looking for good advice, you should be looking for godly advice. When I need financial advice about one specific investment I will often talk to whomever in my life is financially successful and knowledgeable. But when I am putting together a plan for my whole finances then I look not just for someone with getting goals, but I look for someone with giving goals. When I need parenting advice I don't just look for someone with good kids, I look for someone with godly kids. This applies whether or not you are a Christian. Screen your influencers by results and values and it will save you a lot of heartache and headache along the way.